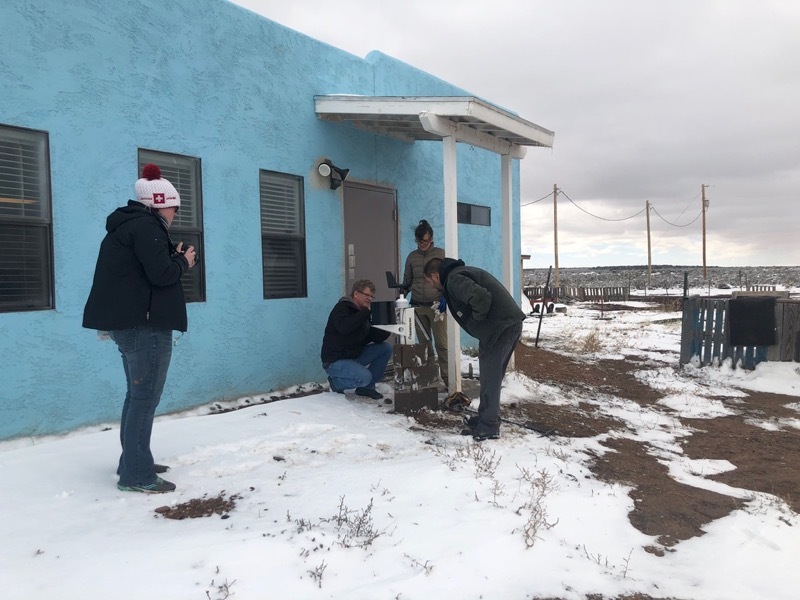 In March 2019, members of the Native Waters on Arid Lands (NWAL) team traveled to northern Arizona to install a weather station and conduct a climate-agriculture resilience workshop with members of the Hopi Tribe. 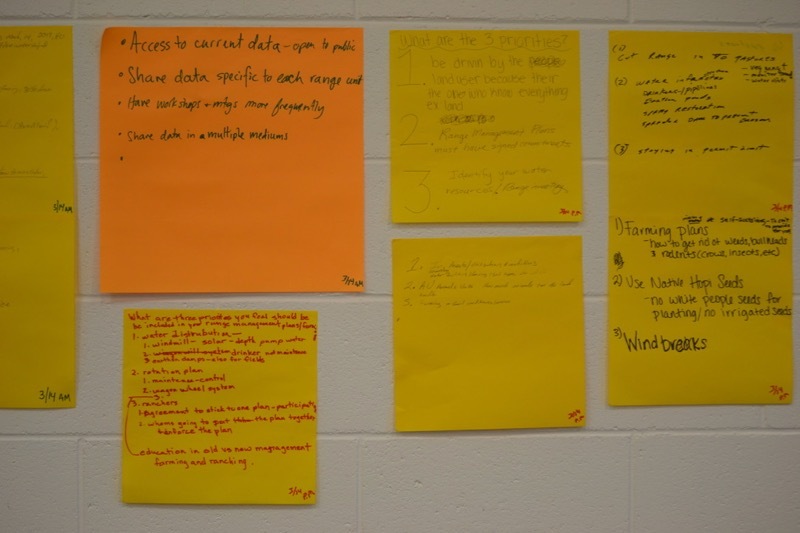 These activities support NWAL’s goals of making climate data available and accessible to NWAL tribal partners for use in climate resiliency and adaptation planning. 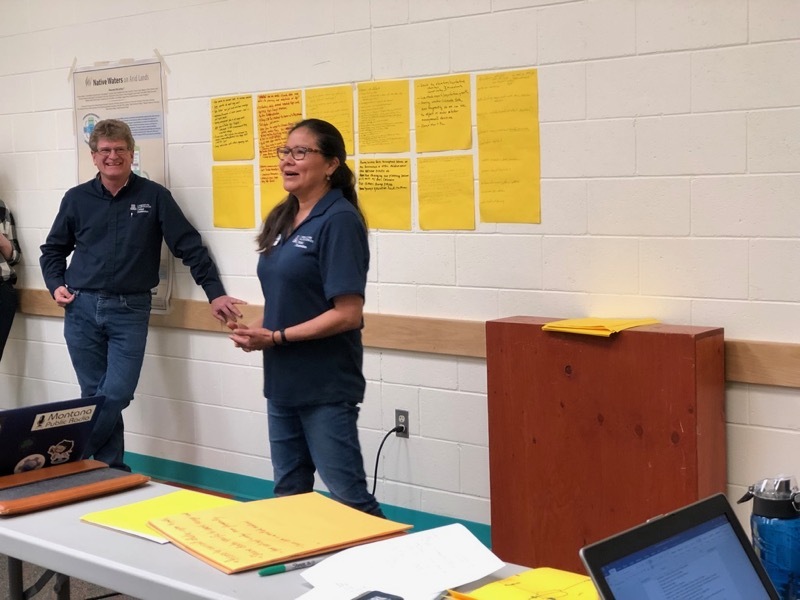 Susan Sekaquaptewa, University of Arizona Hopi FRTEP Agent and NWAL team member, organized the installation of the weather station and the workshop with Hopi tribal members. 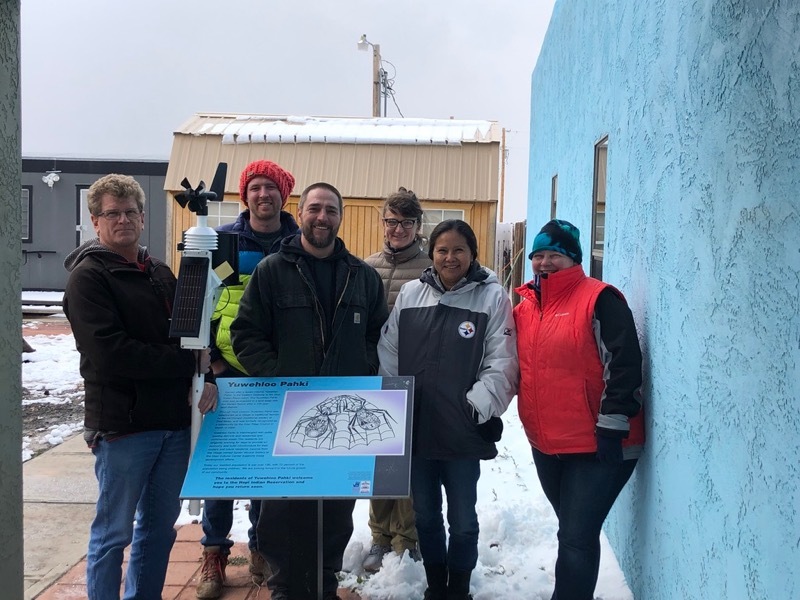 On a cold and windy morning, NWAL team members Maureen McCarthy, Kyle Bocinsky, Meghan Collins, Trent Teegerstrom, and Susan Sekaquaptewa traveled to the Hopi Reservation’s Spider Mound Community Center to set up the reservation’s first openly accessible weather station. 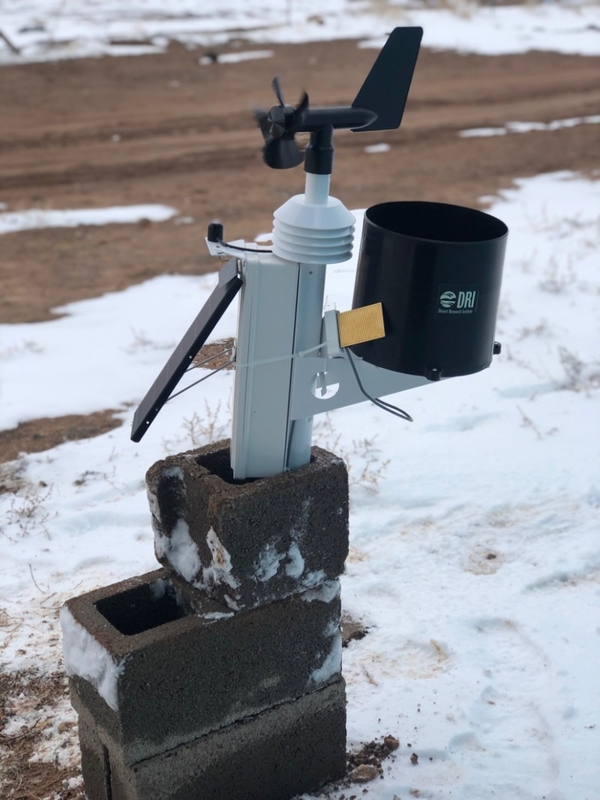 This wireless, solar-powered RainWise MK-III Weather Station will be mounted on the roof of the community center, and will provide information such as temperature, precipitation, wind speed, wind direction, soil temperature, and soil moisture. It will transmit a live data stream to the Weather Underground website, where anyone can access the information. 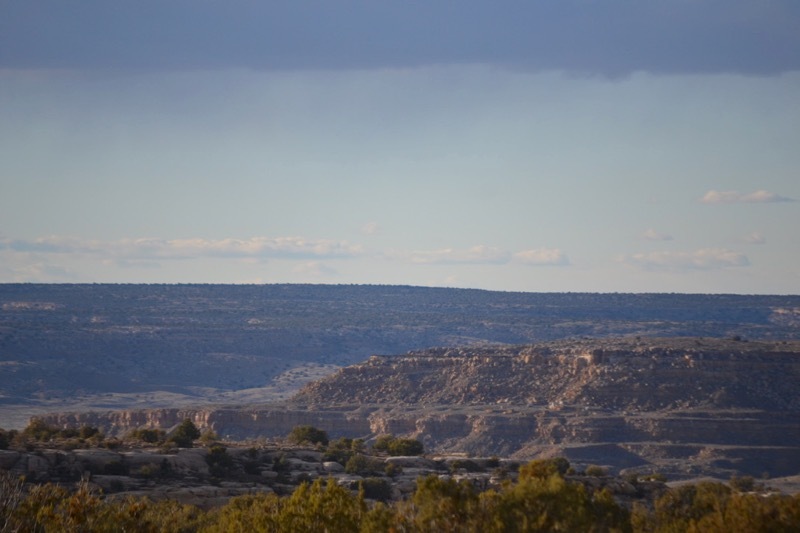 Photos from the Hopi weather station installation. Credit: Lindsay Ware. 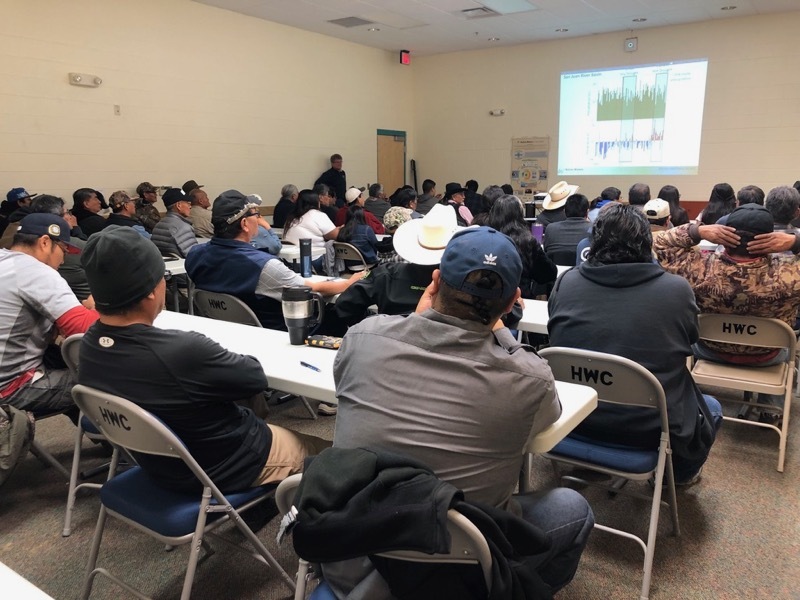 On March 14, 2019, the NWAL team met with members of the Hopi Tribe in Kykotsmovi, Arizona for an agriculture and climate resilience workshop. 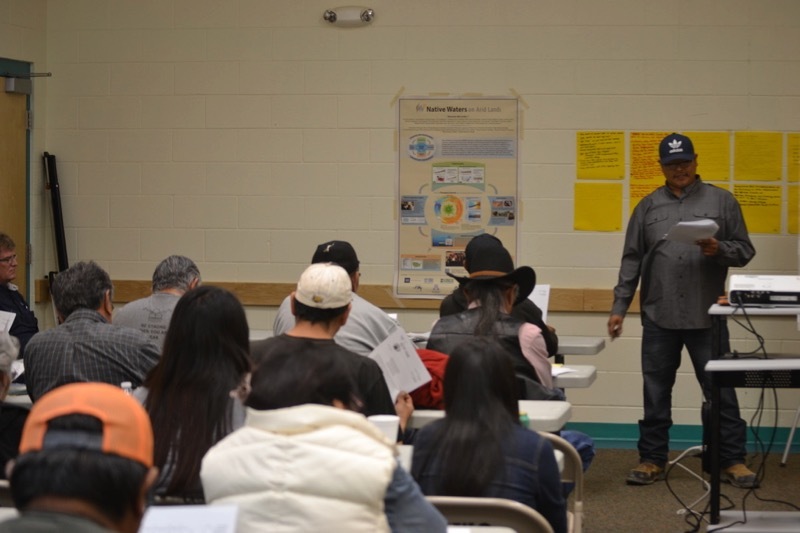 The purpose of the workshop was to provide climate data to Hopi tribal partners for use in climate resiliency and adaptation planning, and to learn about the needs and challenges faced by tribal members in the region with respect to water resources, agriculture, ranching, education and other topics. 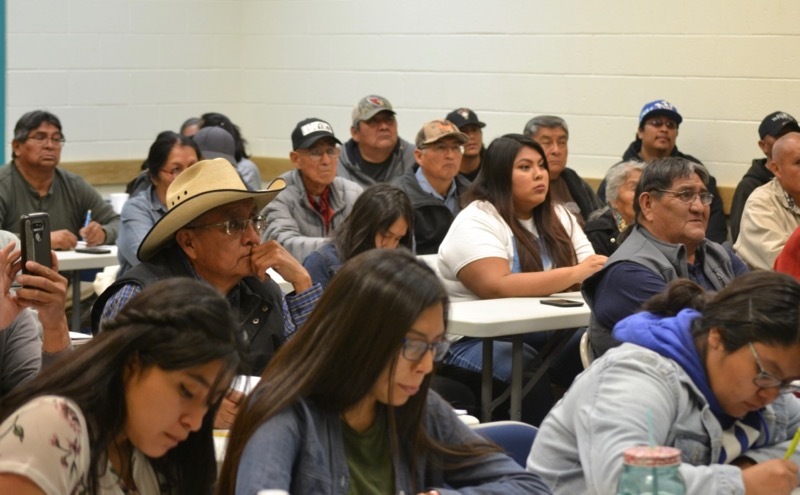 About 70 participants attended the day-long workshop, including Hopi dryland farmers, ranchers, drought planners, natural resource managers, federal officials from NRCS, and several high school students, and their science teacher. 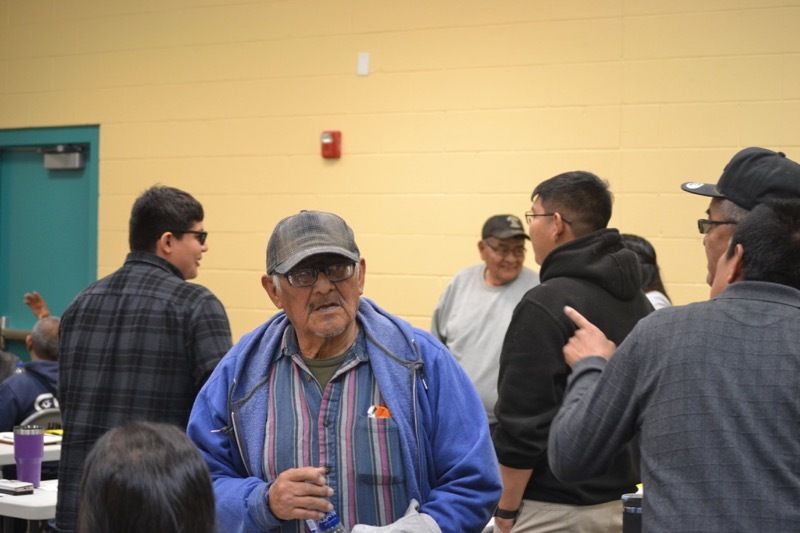 After welcomes, prayers and introductions, Bocinsky presented an overview of historic and modern climate conditions on the Hopi Tutsqua, where an ongoing severe drought has devastated farming and ranching efforts in recent years. 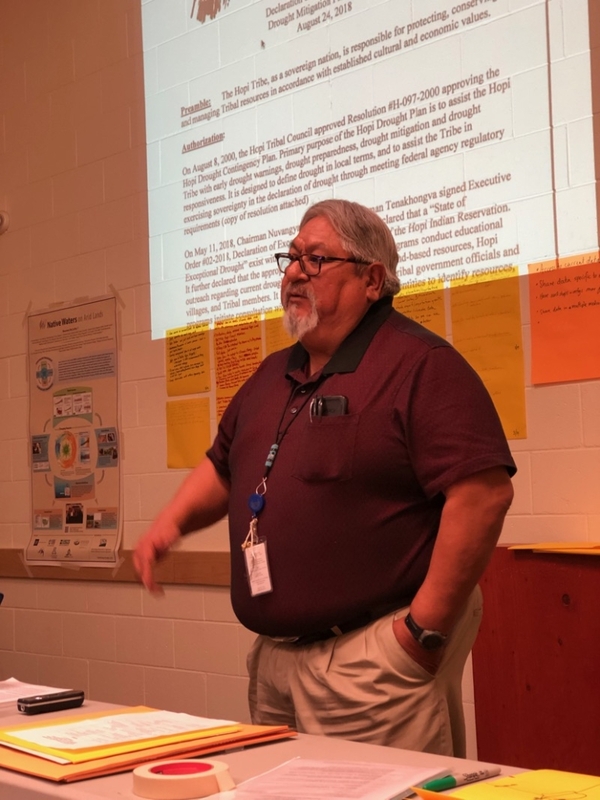 In Bocinsky’s presentation, he compared precipitation and temperature data from the 2018 water year with the 105-year modern historic record for the region, showing that for most of northeastern Arizona, 2018 was the worst year on record. 2018 was exceptionally bad, he noted, not only because of lack of precipitation, but because of extreme heat. According to the longer-term historic record, the drought of summer 2018 was the 4th worst of the past 1000 years, and projections for the rest of the century show that future droughts will likely grow more extreme. View Kyle Bocinsky’s presentation here..
Workshop participants discussed observed impacts of the recent drought including browning of pinyon pines, beetle infestations, grass and weed encroachment in the washes, higher nighttime temperatures, increased winds, and impacts to plants used in traditional Hopi ceremonies. 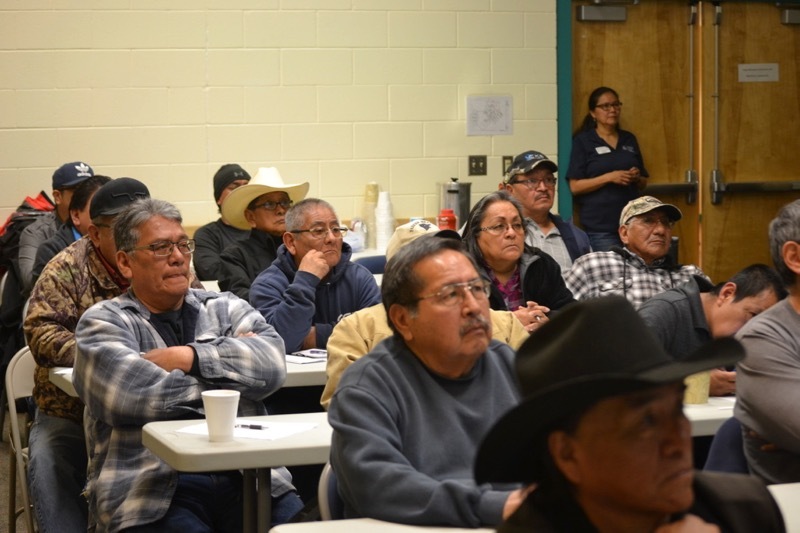 They expressed interest in learning more about how to deal with extreme climate events, having access to Hopi-specific climate data in an easy to use format, improving land management and range conservation strategies, devising new ways to capture and store rainfall, learning about alternative energy sources, maintaining traditional farming and ranching practices, and involving youth in educational seminars. 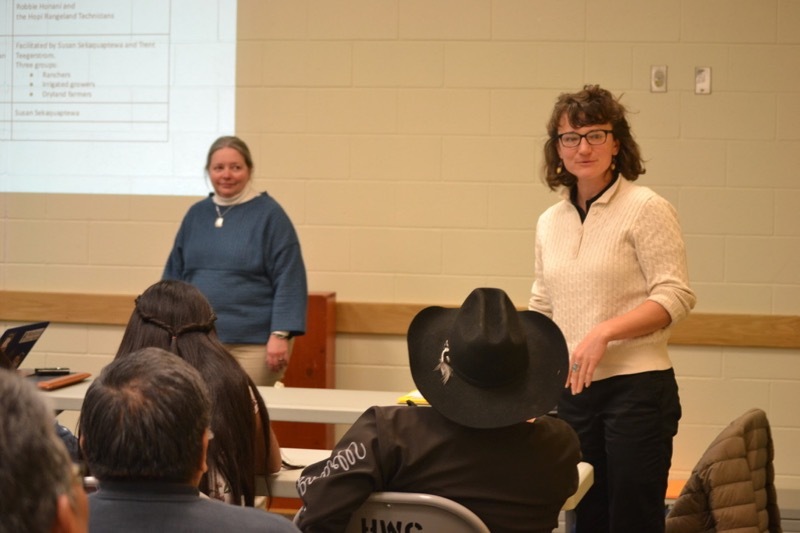 After a report by the Hopi Drought Task Team and presentation on rangeland management planning, workshop participants were asked to discuss priorities for future range management plan and farming. 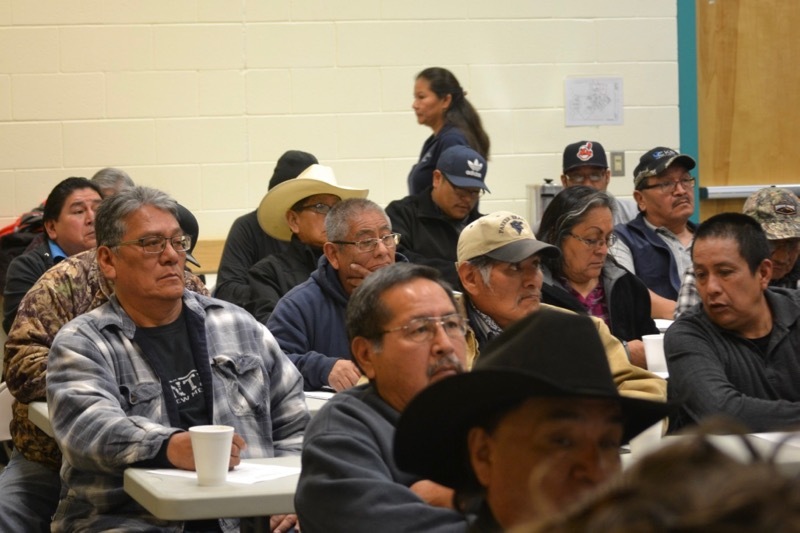 Priorities identified by the group included rotation of animals on grazing lands; identification, assessment and development of water sources and water infrastructure; farming with Hopi native seeds with the goal of being self-sustaining and providing for their own people; education in modern and traditional farming and ranch management techniques; and better communication among land users. 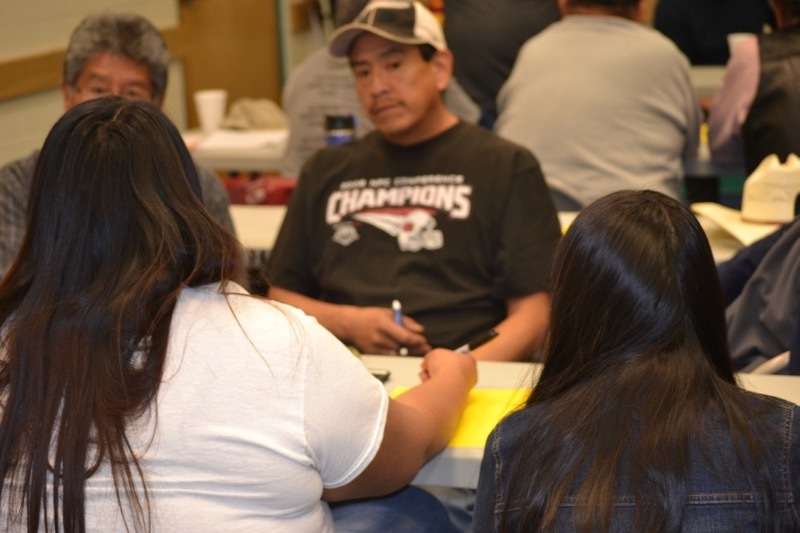 Students from the Gifted and Talented (GATE) Program at Second Mesa High School were very engaged in the workshop discussions expressing their desire to combine traditional Hopi farming and ranching practices with knowledge about what will be required for them to adapt to a warmer climate in the future. 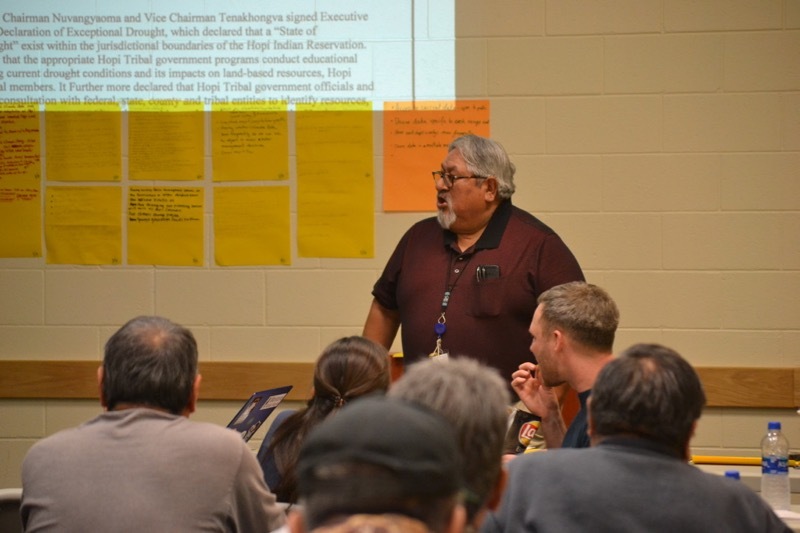 One major topic of discussion at the workshop, said McCarthy, was a recent decision to shut down the Navajo Generating Station (the region’s largest coal-fired power plant), which provides a major source of income for the Hopi Tribe through mining jobs, coal sales, land leases, and energy sales. 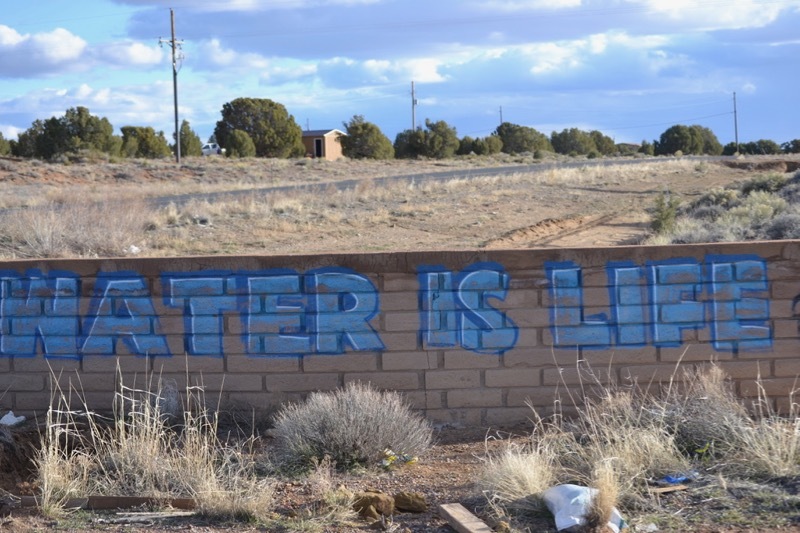 With the closure of the coal mines, the Hopi will lose jobs, income and be left with a legacy of water contamination. 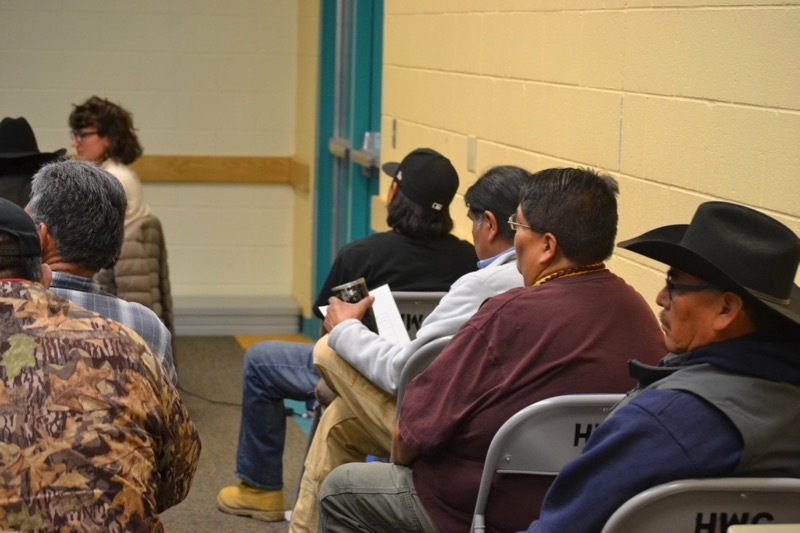 Most of the Hopi people also burn coal inside of their homes for heat during the winter, which will no longer be readily available when the mines close. 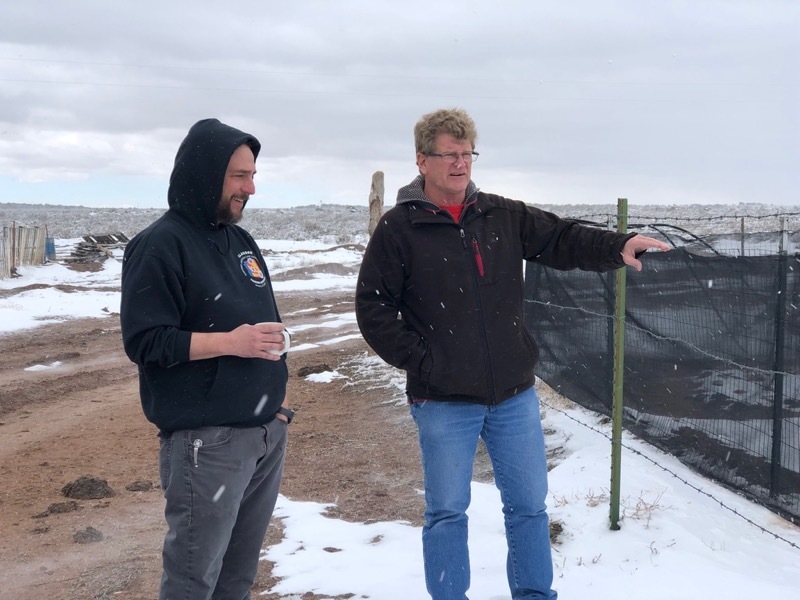 As the Hopi tribe begins to look for alternative sources of energy, employment, income, and heat, McCarthy is exploring ways for the NWAL team to partner Hopi colleagues, U. Arizona, and private sector entities to develop community-based solar and wind energy systems. 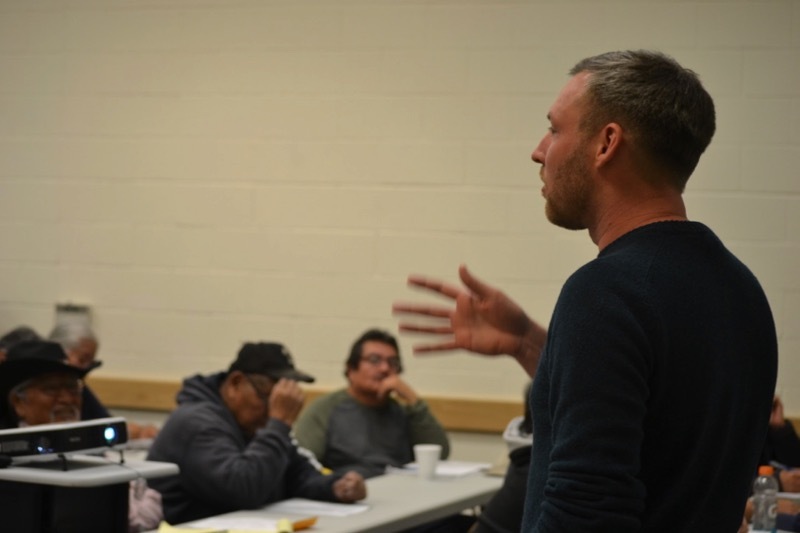 “We plan to follow up with this group at another workshop in the fall with information about alternative energy generation in the form of small-scale renewable energy, such as solar installations that could tie to batteries and generate solar for a whole community,” McCarthy said. 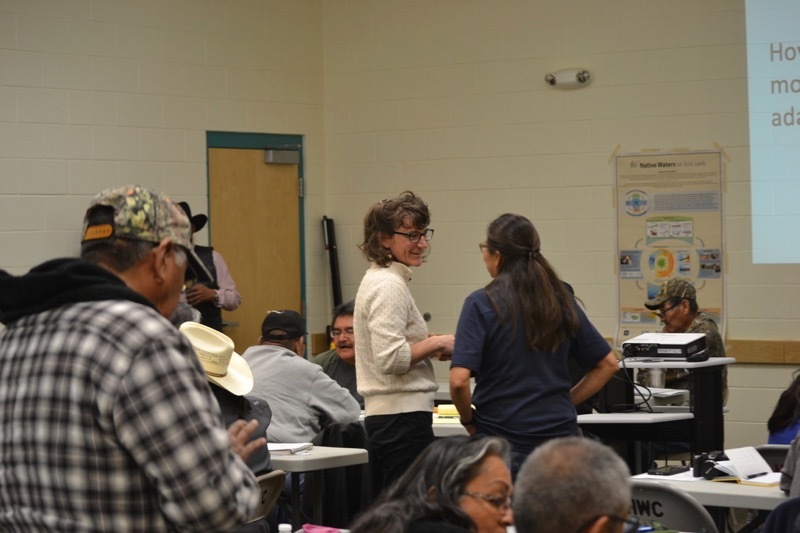 Photo gallery from Hopi Agriculture and Climate Resilience Workshop. Credit: Lindsay Ware. 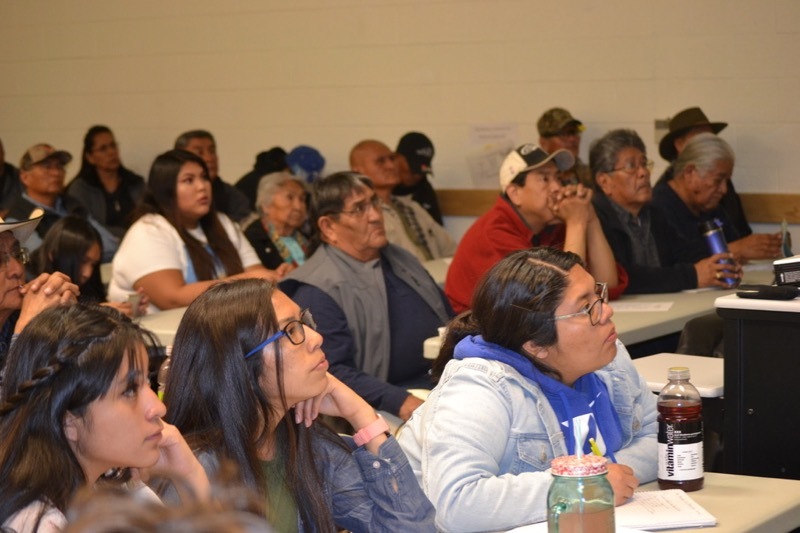 To follow up on what was learned and discussed during the workshops with the Hopi Tribe and the school students, NWAL plans to return to Hopi lands during the fall of 2019 to work with community leaders and educators to expand their access to place-based climate science, alternative energy, weather patterns, sustainable agricultural practices, and other topics of interest. 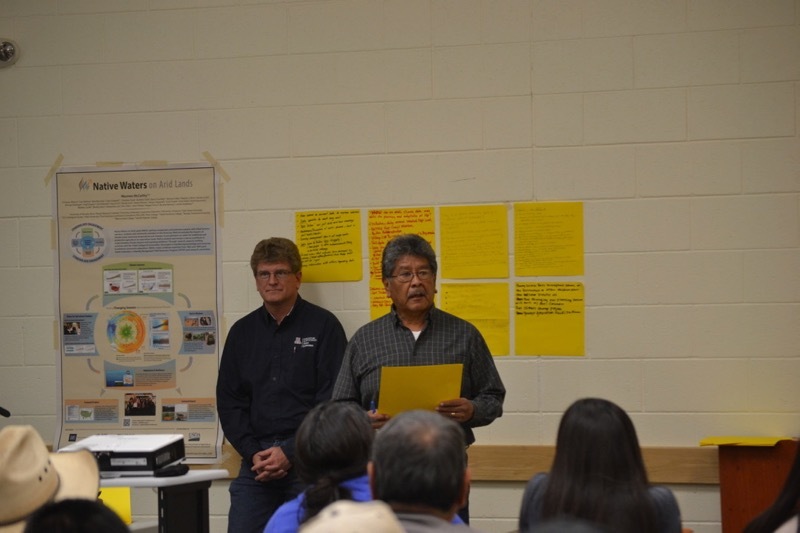 NWAL is also planning to release a webinar about recent and historic climate change as it relates to the Hopi region. 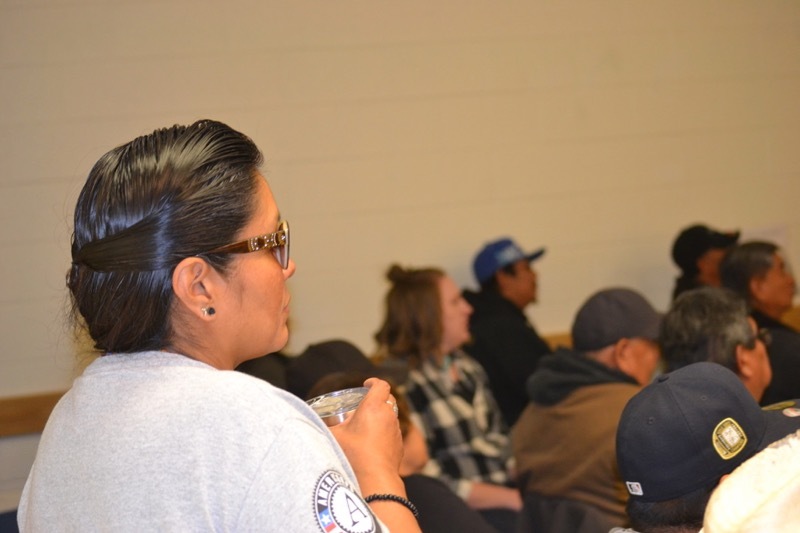 The webinar and other research reports, publications, and data will made available to tribal students and community members. 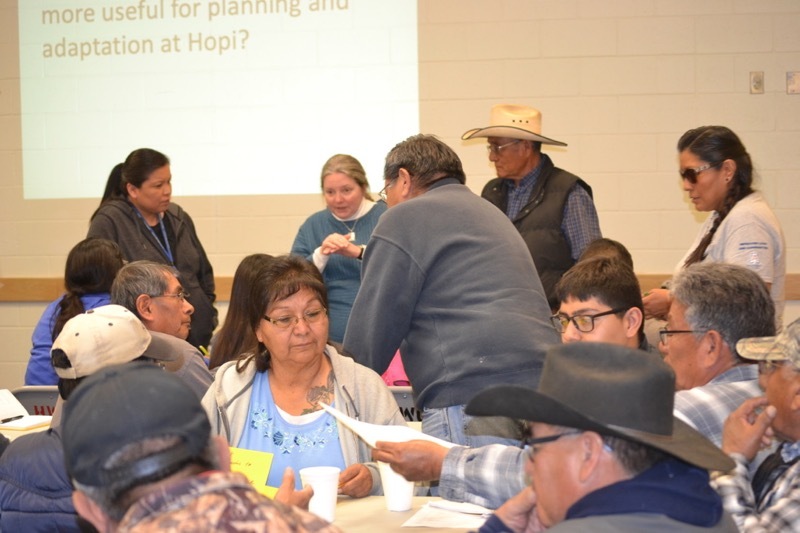 A key element of follow-up from this workshop will be supporting Hopi high school STEM teachers to use NWAL research data to develop place-based education materials on topics such as weather and climate trends and patterns, temperature changes and water supplies, ranchland grazing carrying capacities, water quality testing and treatment, and renewable energy applications.